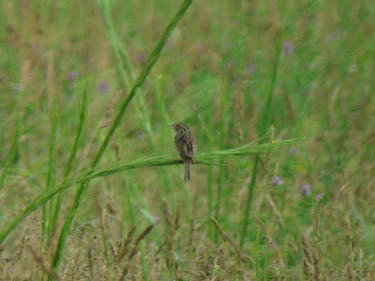 A rare Henslow's sparrow was seen in June on Meadow Road in Montague, Mass. People travelled hundreds of miles to see the bird. Mark Fairbrother of Montague saw the sparrow first, according to the Greenfield Recorder newspaper.